For more information about the type of information contained in the parent portal, take a look at our Parent Portal Overview article. 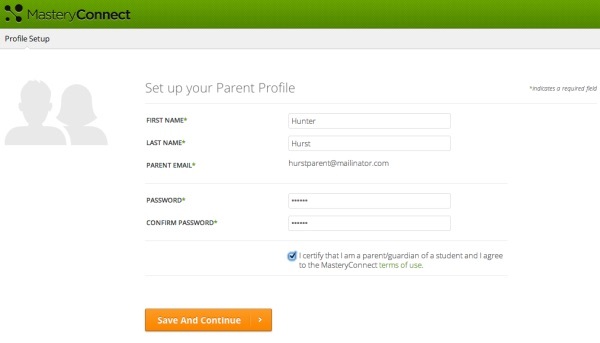 You will receive an email from MasteryConnect after your student's teacher activates your parent login account. Click on the Activate Your Account link in this email. Note: If you didn’t receive an activation email, check with your child’s teacher to verify that they have your correct email address. Enter your name and create a password to set up your account. Click Save and Continue. You’re done! 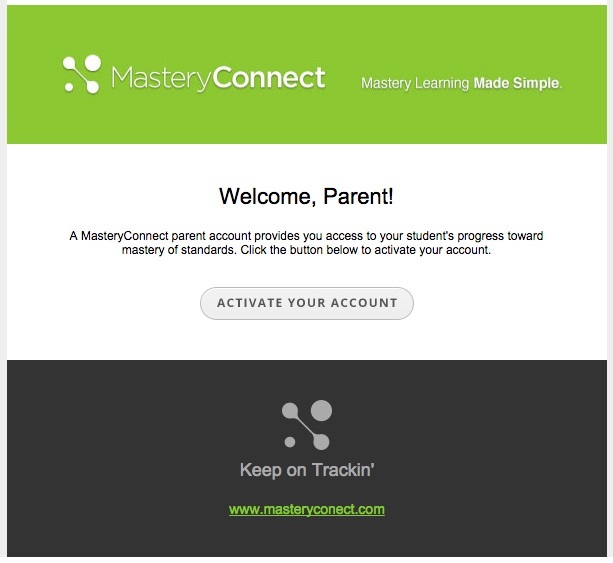 To access your account, go to www.masteryconnect.com, click on Login, and enter your email and password.